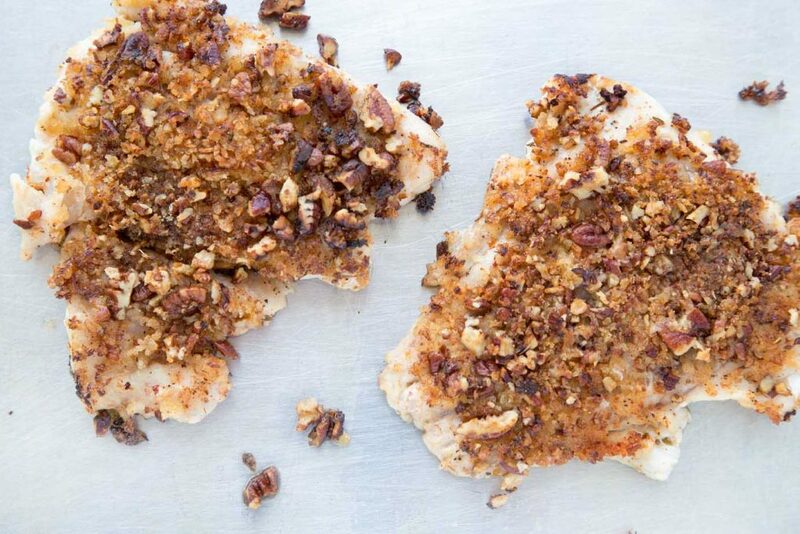 The crunchy sweetness of the pecans with that moist sweet nutty red snapper .....sigh. Then add it a few jumbo shrimp to make it extra special and my famous margarita sauce and you've got a restaurant style dish for a fraction of the cost of going out to dinner! 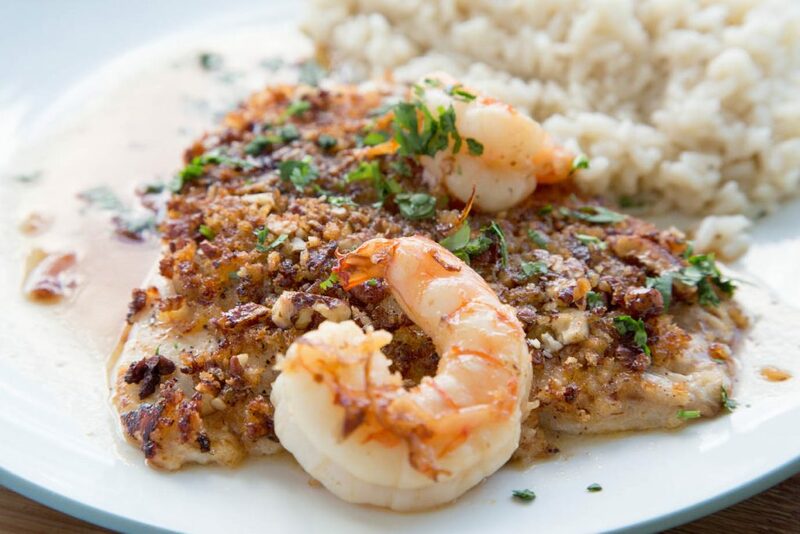 When it comes to Red Snapper there is no better way to prepare than my restaurant style Pecan Encrusted Red Snapper. You’ll love the flavor combination and that OMG delicious margarita sauce. What’s for dinner at your house tonight? Living in Florida, surrounded by water we have a delicious supply of fresh seafood. That being said fresh is not always the most economical way to purchase our favorites like Red Snapper, and that’s when I turn to sustainable wild-caught seafood. Now you may think that’s all you need to look for, but you’d be wrong. Wild Caught has become the new buzzword for seafood and it’s not just about being wild caught, its where the seafood came from, or who has processed the seafood. Make sure to turn over the package to see if your wild-caught Alaskan fish was processed in the US or another part of the world, like China. Check to see if that beautiful wild caught flounder came from the eastern seaboard of the US or Vietnam. I bet you didn’t have to worry about the source, did you? Just make sure to find a good source for seafood, that it’s not farmed (unless it’s US farmed) and it comes from reputable waters, where there are strict controls. Okay off the soapbox and back to the Pecan Encrusted Red Snapper. And if you love red snapper as much as I do, check out my recipe for Red Snapper en Papillote. Let’s gather our ingredients together for this Restaurant Style Dish. This is how the fish should look after the saute pan before going into the oven. The only real tricky part to the dish is getting the pecan mixture to stick to the fish. I found that adding the honey directly from the bottle (a little on each) and spreading it with your fingers is the best way to get the honey on in its thickened state, which allows for maximum coverage of the pecan crust. Then it’s pecan side down into a hot pan (with a little olive oil) for about 1 minute or just long enough to get some color. Sear the other side briefly, then onto a baking dish with a little water added to keep the Pecan Encrusted Red Snapper moist while it bakes for 10 minutes and you’re done. Except for the lime margarita sauce, that is. The sauce is pretty easy to make, just make sure to stand clear if you decide to light up the tequila, it does burn pretty hot. Of course, you can just let it burn off without flaming, which is a lot safer. If you want to kick the dish up a bit, add a few gulf shrimp into the pan before you make your sauce, removing them after they are almost cooked. Once the shrimp are cooked you can make your sauce in the same pan, adding them back before serving the snapper. 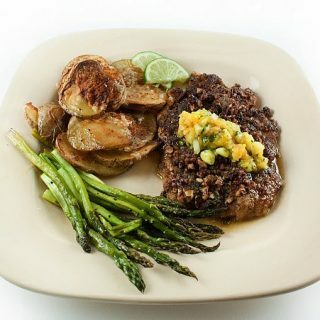 You’ll love serving this delicious restaurant-style dish in your own home and its a great dish for a dinner party. The red snapper can be prepared ahead of time (up to the point of baking) and refrigerated until you’re ready to serve your guests. Then it’s about 20 minutes in a 325-degree oven and you’re ready to serve dinner. Finely chop the pecan and mix with bread crumbs and Cajun seasoning. 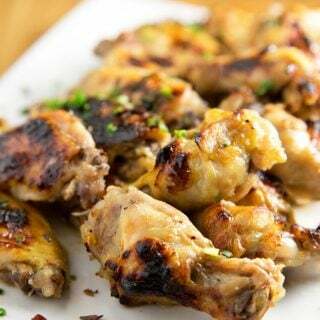 Spoon or squeeze on a teaspoon of honey onto each fillet, and use your fingers to spread it over the top of each fillet..
Press the honey side of the fish into the pecan mixture, make sure that a good layer of the pecan mixture adheres to the snapper. Heat a saute pan (allow it to get hot before adding the olive oil), add 2 tbsp of olive oil and gently place the snapper, pecan side down in the hot pan. Allow the snapper to brown for just about 1 minute, be careful not to let it burn, the honey will caramelize quickly. Very Gently use a long metal spatula to turn the snapper over, keeping the topping in place. Cook on this side of the snapper for another minute to sear it, when removing from the pan, if any of the pecans fell off replace them in the spots that need them. Place in a baking dish with a little water and continue to cook in a 350 degree oven for about 10 minutes. in a small saute pan, add 1 tbsp of butter and after it melts, add in brown sugar and blend well. Add in lime juice and tequila, allow the alcohol in the tequila to burn off. Add in the last tbsp of butter and allow the mixture to thicken. Question: recipe calls for two tablespoons honey but instructions say rub a teaspoon each on the filets. I can guess with the homey but the Cajun seasoning calls for a tablespoon and when I made this before it was very spicy…so perhaps the Cajun seasoning is a teaspoon rather than tablespoon? Caught a boatload of red snapper off of Islamorada last week. Cooked up some using this recipe last night. Super easy and so delicious! Cooking in the oven in a bit of water after searing made it very moist. Will use this recipe again and will follow you for others! Thanks!! Thank you so much for letting me know and for the great review Gale! It was one of the favorites at my restaurant too! Great dish , super easy! My family really enjoyed it, teenage daughter described it as “refreshing “. Thats what I like to hear Frank. Thanks for the great review and taking the time to leave a comment! 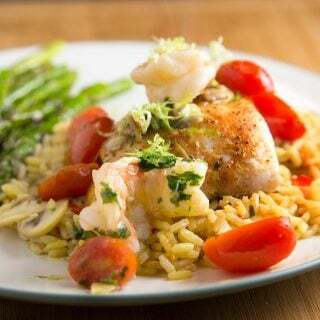 We have some red snapper waiting for me to do something creative with, and I just couldn’t think of anything special until I happened upon your recipe. This one is a keeper. The Margarita sauce and that hint of honey with the pecans are what elevate this dish. A mix of fantastic flavors. When they say “umami,” your recipe checks all of the boxes. And I’ve found a new chef to follow. Thank you Sherie! I hope you enjoy it as much as we do! 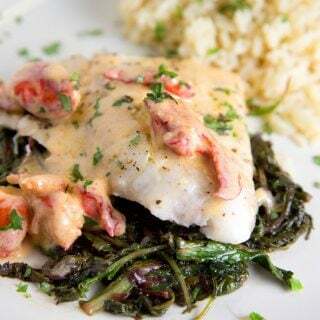 Chef Dennis, I stumbled upon your recipe when searching for a crusted recipe to go with my red snapper. Yours did not disappoint! The honey I think was key to this recipe. I’ve never used that when crusting a fish! I had some local honey that tasted wonderful with the pecans. I did add a little fresh grated Parmesan to the panko and pecans. I also was able to get some fresh NC shrimp and I cooked them in the margarita sauce. Beautiful with a glass of Italian white wine! Thank you so much! P.S I don’t ever review recipes but it was so good I wanted to give you you props! Thank you for taking the time to leave such a nice comment and review Michael. I’m happy to hear you enjoyed my recipe and the honey is the big difference in the recipe. 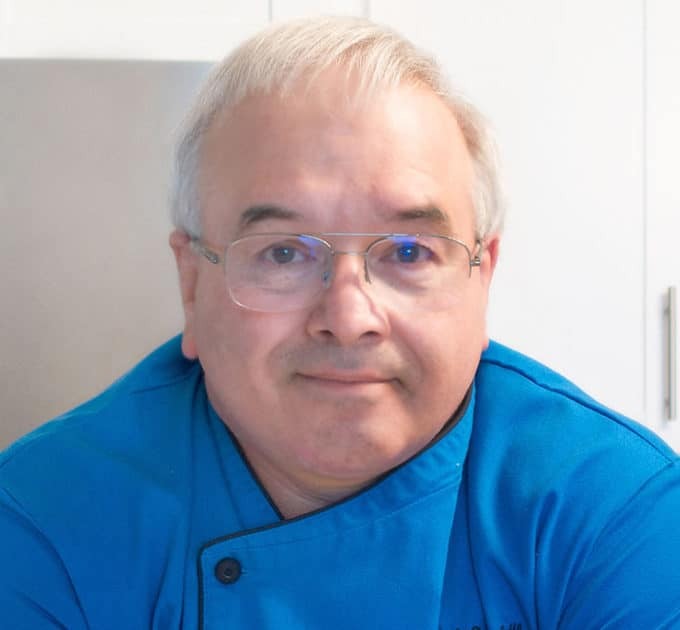 Hope you find more of my recipes to enjoy! YUM. In MN we don’t have a lot of great seafood however, when you cook what you do have in amazing flavors, it’s delicious. This looks wonderful – can’t wait to try it! I LOVE crusted fish, but I’ve never cooked Red Snapper. I need to expand my horizons! Oh my goodness, it’s 10 am and now I’m getting hungry. This looks and sounds amazing. I appreciate your detailed instruction. Hi chef! This looks delicious!Pecans elevate everything right? We are having falafel bowls tonight! Wow! 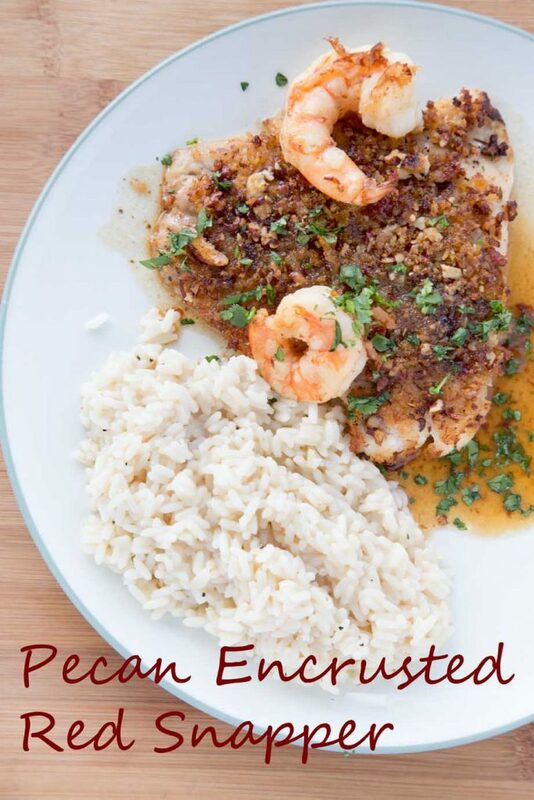 this Pecan Encrusted Red Snapper. Looks yum I love shrimp though. I i\\’ll try to cook this one! 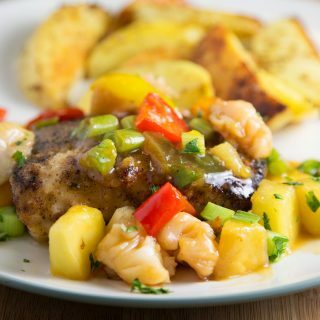 This is such a Florida recipe! I need to make it next time I am there, I know my dad would love this, too. I’m not a fan of pecans but I’ll definitely think about using it now thanks to this recipe! Thank you for sharing. Oh my goodness, that pecan crust looks absolutely delicious. I’m not a very adventurous cook but perhaps I can talk my husband into making this one for me! I am very jealous of your access to fresh seafood. Moving to a landlocked state has made it difficult to get good seafood. This sounds so delicious a pecan crust would be awesome! Pecans ade one of those ingredients i love but don’t use often enough. That’s gotta change! This looks so good! I have to be honest though, I’ve never eaten red snapper… I must give it a try! We just returned from a fishing trip in Florida with some red snapper. We’re going to try this out today. Sounds delicious. Thank you! I hope you enjoy this dish as much as we do! I like your “soapbox”! I never purchase farm raised fish. Fresh caught only! Cannot wait to try this recipe! We visit Key Colony Beach in the Marathon area of the Florida Keys a few times a year. I eat AS MUCH FRESH FISH AS POSSIBLE while I’m there! We just had to empty part of our damaged condo last week. The devastation is unbelievable. My prayers are with the residents and small business owners! God bless you all! Thank you Tami. The folks in the Keys are resilient and I know Florida will do everything they can to get them back on their feet. It looks gorgeous before and after! And soapbox very appreciated, it’s important to know where our food comes from and how it is sourced! Thank you Mary and thanks for stopping by! Such a beautiful fresh snapper! I wish I can get gorgeous produce like that where I live. 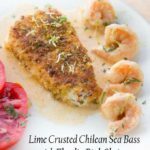 The lime margarita sauce sounds so fresh and delicious. Thank you Tes, it was a delicious dish! Looks really good Chef and we have a piece of snapper in the fridge if I can find it. thanks Larry! 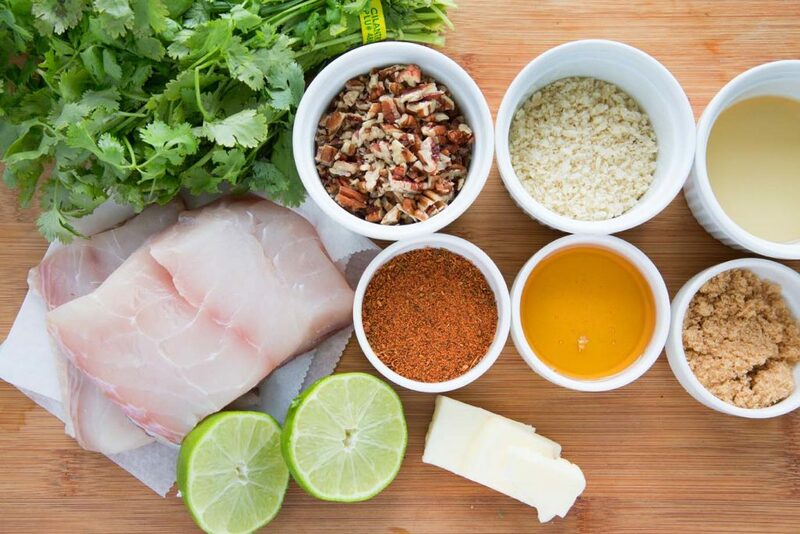 It’s another delicious way to prepare snapper! Just cooked it tonight after catching a few monster red snapper. I will say the absolute best fish I have ever eaten. Thank you!!!! Happy to hear you enjoyed my recipe! Hope you find more on my blog to try.